Although it’s the easiest thing to make and super beneficial, most people do not make their milk from scratch. Half of the time I don’t. The reasons range from being out of nuts/seeds to recipe building, since most people are likely going to use packaged milk. Likely almond. 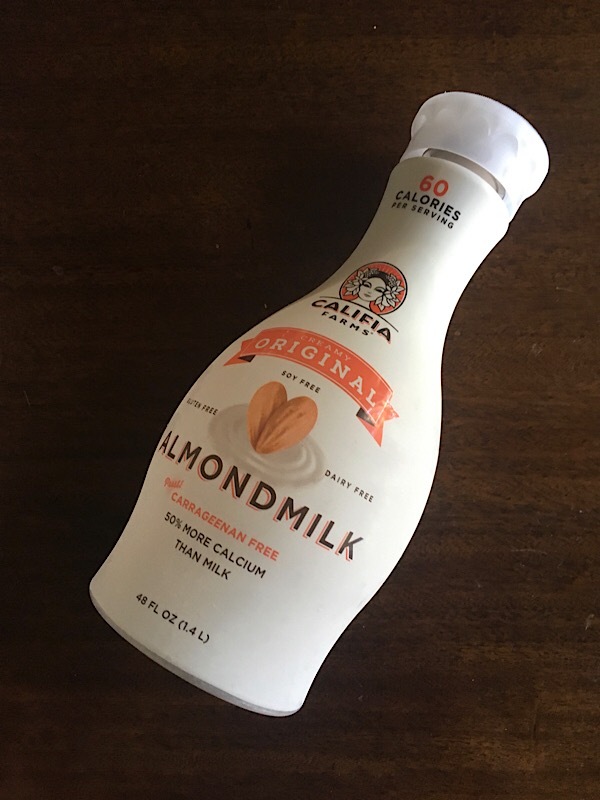 Despite the widespread reports that there are less than 2% of actual almonds per carton of milk, it is still one of the top plant-based milks on the market. 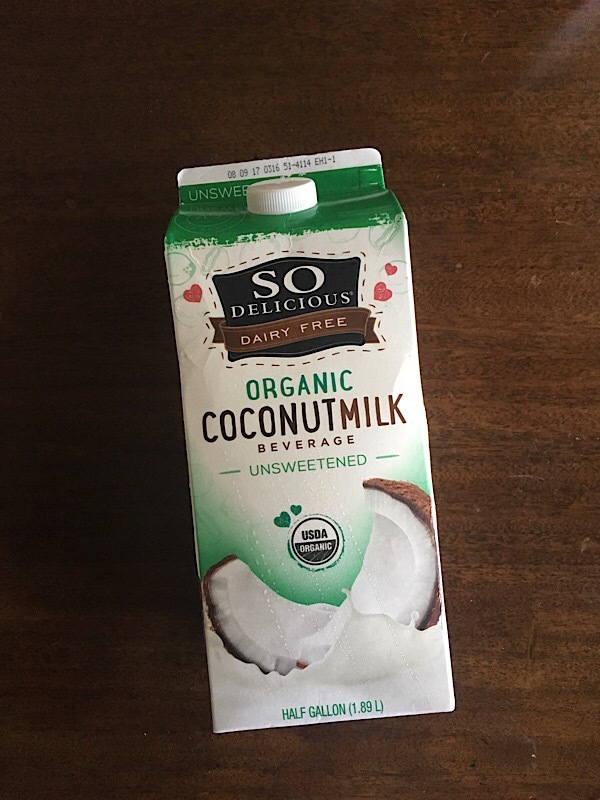 I’m sure most people figure regardless what’s not in it, it’s better than drinking dairy. Unfortunately that includes synthetic vitamins that include calcium phosphate and magnesium phosphate, along with vitamin A acetate, vitamin D2, L-selenomethionine, zinc oxide, folic acid, and vitamin B12 added to mimic the nutrient profile of cow’s milk — which are unnecessary if you’re eating a wholesome diet rich in real, nutrient-dense food. Apart from nutrition, taste and texture are just as important when it comes to plant-based dairy products. I’ve tried milk on almost every continent at some point during my life and it’s generally been the same: thick, creamy and a bit sweet. I can’t say the same about plant-milks. With the exception of soy, plant-based milk is pretty new product so it’s understood that the quality and consistency runs the gamut. 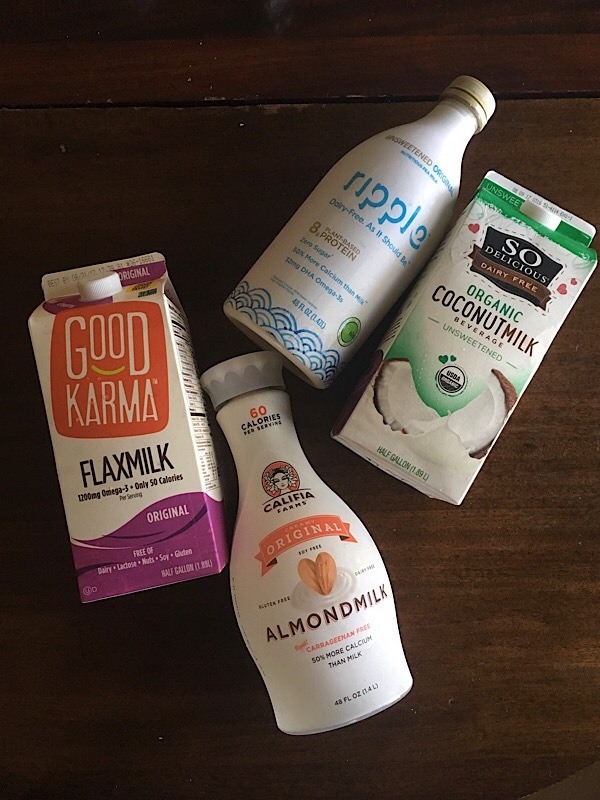 From hemp (my personal fave, requires a post of its own LOL) to pea, plant-based milks are popping up everywhere. Regardless of what kind to use, there are so many different uses for milk; to drink, to cook…some people use it just to wet their cereal and nothing more. Here is a recent round-up of new and old brands on the market and what works best for what. 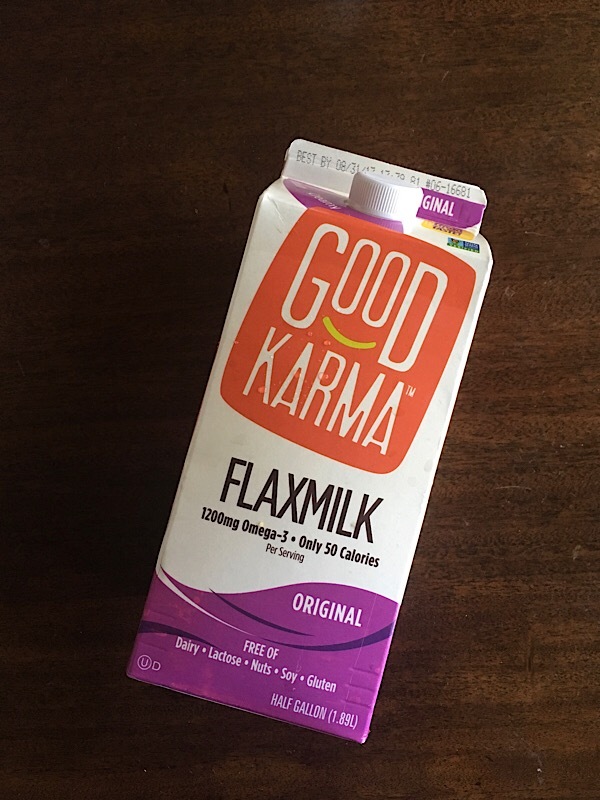 The taste is great but the potential problem here is texture, which is similar to the consistency of skim/low fat milk. This is not a problem in my opinion for granola or smoothies but if you are making a sauce or soup, stick to coconut cream. Consider this is more of a “beverage” than milk. Taste-wise, the company says their patented Ripptein process “strips out the flavor of plant material and leaves almost purely protein, so its milk product doesn’t taste like peas.” Ok so it ends up tasting like something else then, a flavor that I have never experienced before, which is hard to describe, not good, not bad, just different. It’s also not organic. 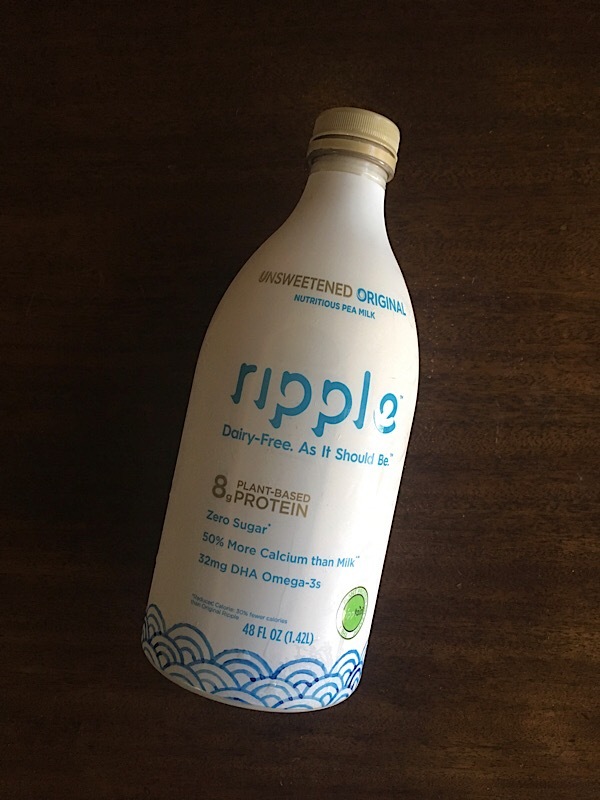 Nevertheless, it’s nut-free, one glass boasts 8g of protein, zero sugar and 45% of the RDV of calcium, which is always debatable but impressive nonetheless. This is great for the very active and people looking to optimize every aspect of their meals. Taste-wise, this was my favorite although the “original” is automatically vanilla flavored which is bothersome because that automatically dictates how I can use it. The other bothersome thing is the phytoestrogens issue which plagues soy, so men, this may not be the milk for you. Nevertheless the protein count is good, with 5g per glass and the source is pea. The label boasts carrageenan- free which is great given all the controversy surrounding the additive. It looks like they’ve added oat fiber instead to thicken it which gives it a nice texture. Taste-wise it’s mild and not too overwhelming. Out of the four listed, this would be my first choice if I wanted a glass of cold milk with a rich dessert. Previous Article #femmeappetit gets SAUCED!